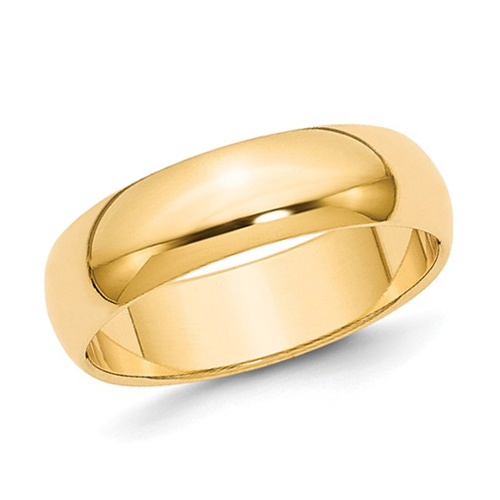 This lightweight 14k yellow gold men's wedding band has a polished finish and slightly domed center.Width: 6mm. Thickness: 1.15mm. Standard fit. 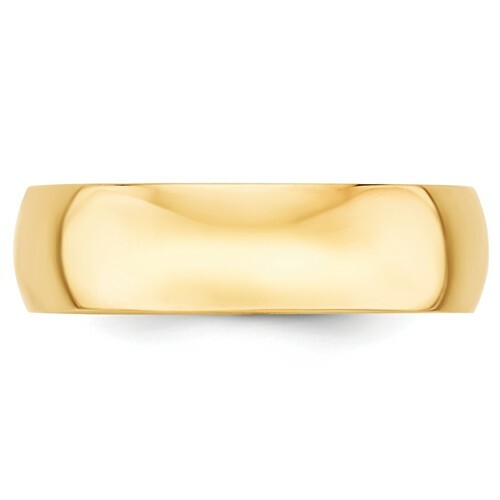 Size 7 band weighs approximately 3.7 grams. Made in the USA.